Having a special day? Make it a day you will never forget. 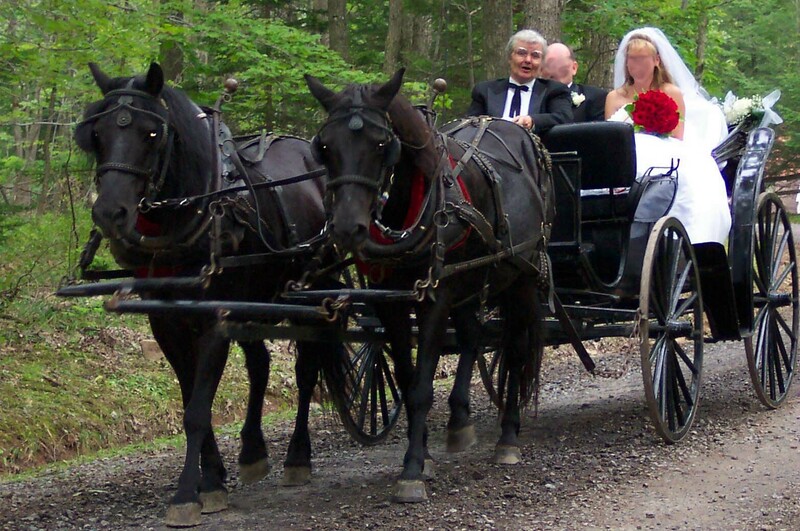 We have been carrying new brides to the alter for over forty years. Feel like a princess for your special day or surprise someone you love. Each team/carriage can be coordinated by color or add your own fresh flowers to really draw attention. Princess Carriage Be a princess or just feel like one. This special carriage will make that happen. 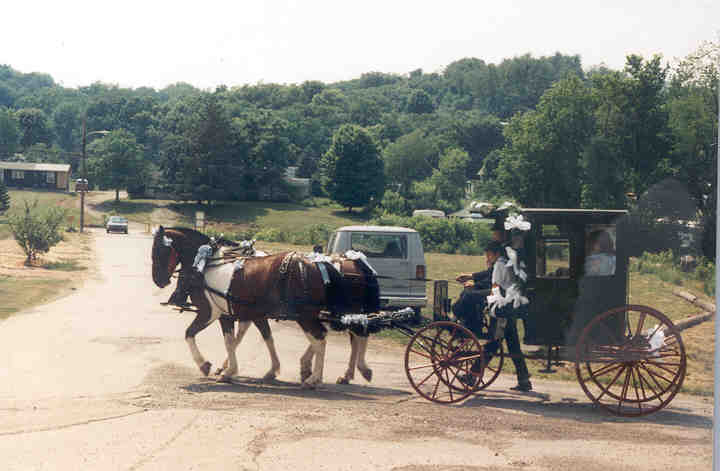 Wagonette Bring your wedding party along for the ride. 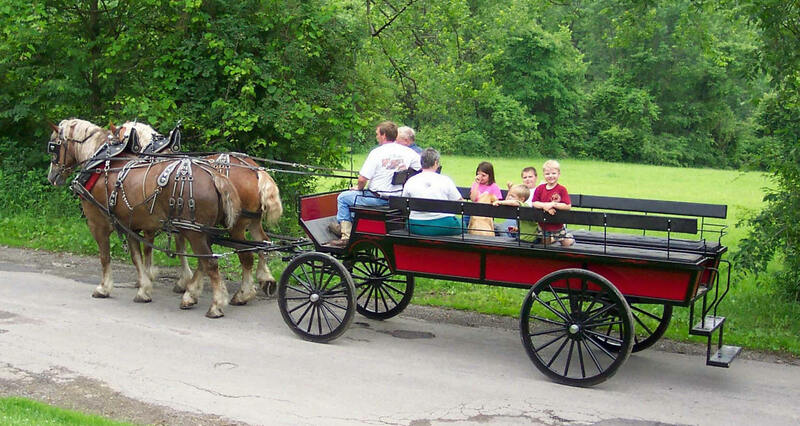 Our wagonette is just what you need. Are you having a black/white wedding? Try our formal surrey for just the right look. 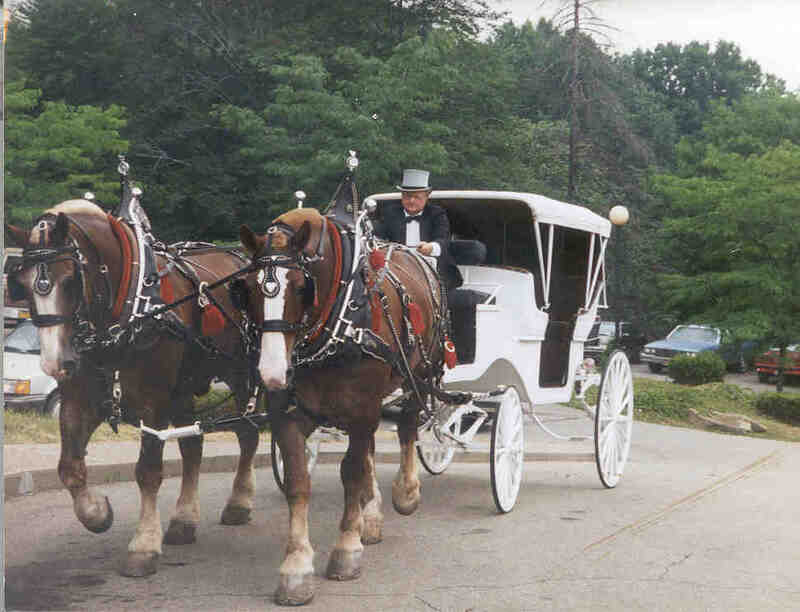 Go way back with our antique Rockway carriage. Tally ho and off to your wedding you go. Having a winter wonderland wedding? 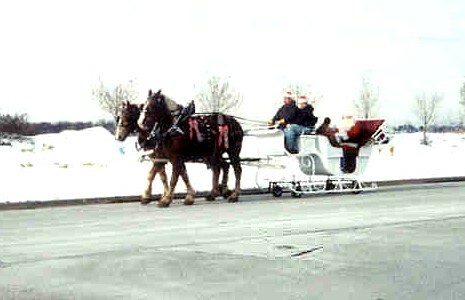 Arrive in our Princess Sleigh for the ultimate romantic entrance.